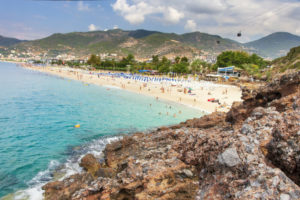 Turquoise water in sea on Cleopatra beach in Alanya, Turkey. 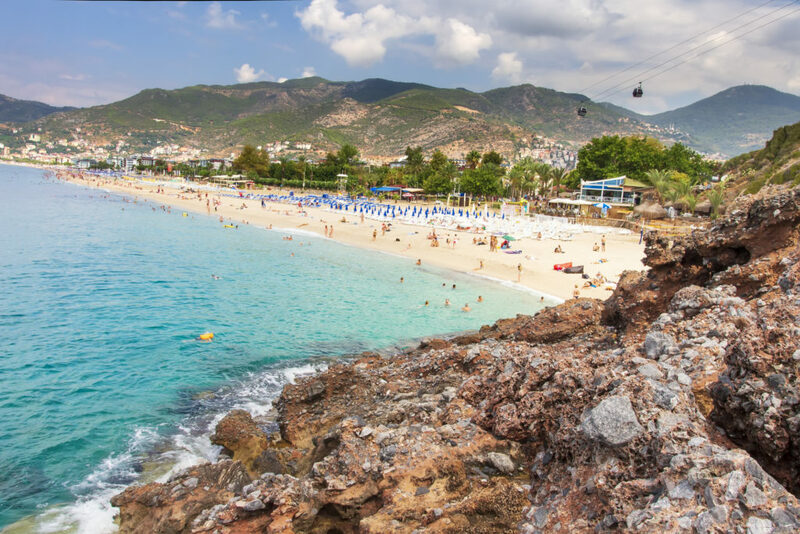 Paradise lagoon on turkish resort in Alanya. Rest on mediterranean sea. Sandy tropical beach with rocks on coastline.